Leave it to Miley Cyrus to not come in like a Wrecking Ball for her own wedding. The pop singer revealed at the MusiCares Person of the Year gala honoring her idol, Dolly Parton, that she had just one request for her low-key December wedding. As it turned out, Cyrus did end up changing into a dress—a Vivienne Westwood gown at that—for the living room wedding, but we’re willing to bet that she did also get the vegan and chicken dumplings that she asked for. The rest of their reception food included some simple staples as well: a two-tiered wedding cake, banana pudding, champagne and sparkling water, according to Elle. Cyrus’ mother, Tish, told E! News that welcoming Liam Hemsworth into the family has been a smooth transition, due in large part to the fact that Cyrus, 26, and Hemsworth, 29, have been together on-and-off for a decade already. 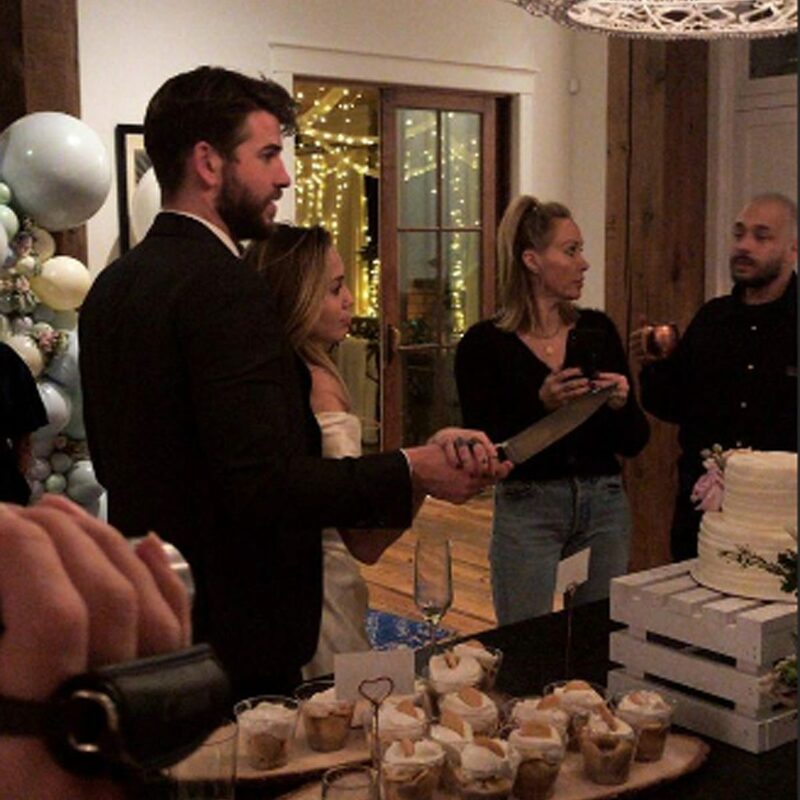 Be the first to comment on "Miley Cyrus Had Only One Request for Her Low-Key Wedding to Liam Hemsworth"